Tickets for festival special events, and the 2013 All-Festival Pass, are now available through Brown Paper Tickets. Tickets for regular screenings will become available in the next few weeks. We anticipate that tickets for the Opening Night Ceremony, Sister Helen Prejean event, and the U.S. Premiere of Tula The Revolt featuring Danny Glover will go quickly, so get yours now! Or, support the festival by becoming a 2013 Festival Pass holder! Festival passes are now available! 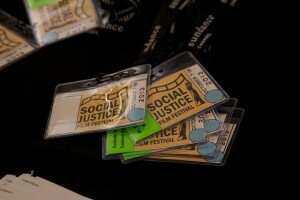 Join the 2013 Social Justice Film Festival for five featured events and several dozen other screenings with participation by the filmmakers and local area experts in Q & A sessions. Early-bird passes will be available through September 30th at the discounted rate of $89. Pick up your festival pass during the festival at any screening at The Market Theater or Rainier Valley Cultural Center. Get your tickets now to the festival’s 2013 Special Events! Or get a Festival Pass and attend all of them!